Our inaugural pin is not just a lapel pin but a tracing device and the badge of traveling man. 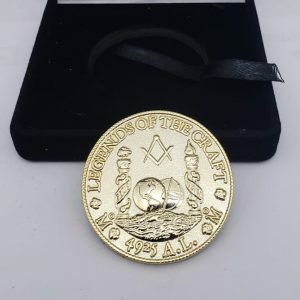 It is designed to aide in masonic instruction and self-education. 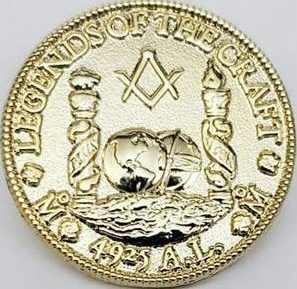 It features many symbols and legends that have reference to Masonry’s legendary past, as well as to some important Masonic concepts of modern times. Want to know the secrets behind the pin? check out : Tracing Masonry. 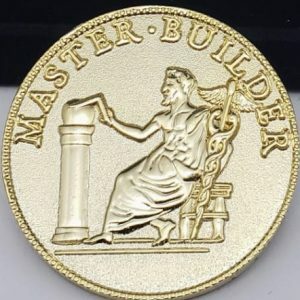 The goal of the coin is to fund the yearly Symposium and programs focused on education and charity.